Merino wool and locks. 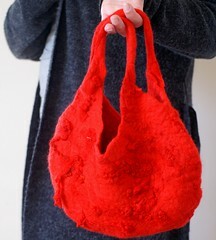 Handfelted bag with lots of texture. No seams... strong and beautiful. Anything that interests you?